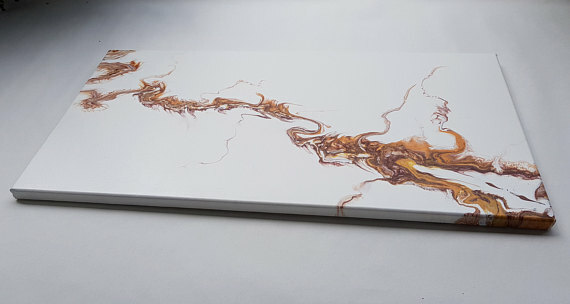 Zig zagging across the canvas comes a Brown and Yellow Ochre lightening bolt that has a Chinese Dragon taste to it. 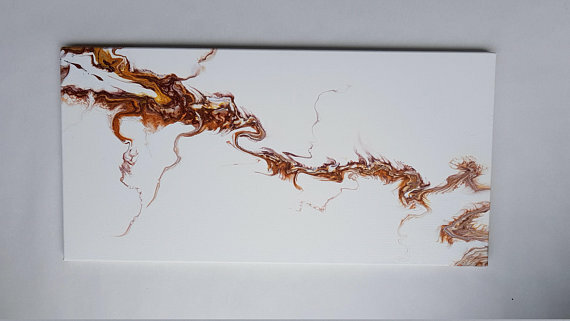 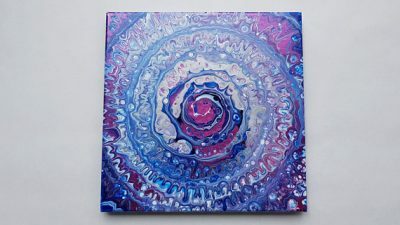 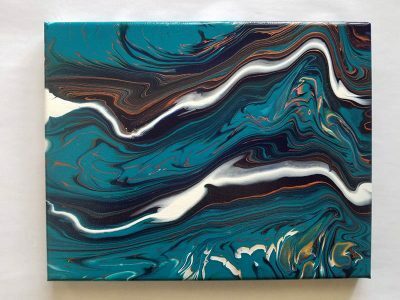 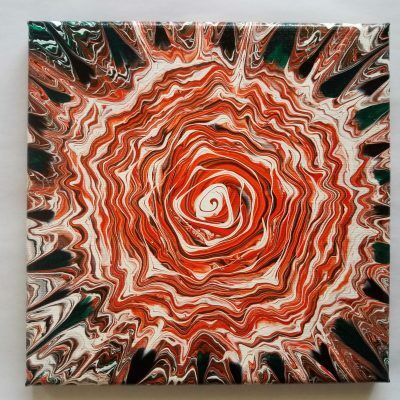 This acrylic pour painting is poured on 60 cm x 30 cm canvas has the sides painted so you can display how ever you desire. Painted by artist Michelle Edhouse in her studio in Rotorua, New Zealand you can watch the end of this painting being created on YouTube below.